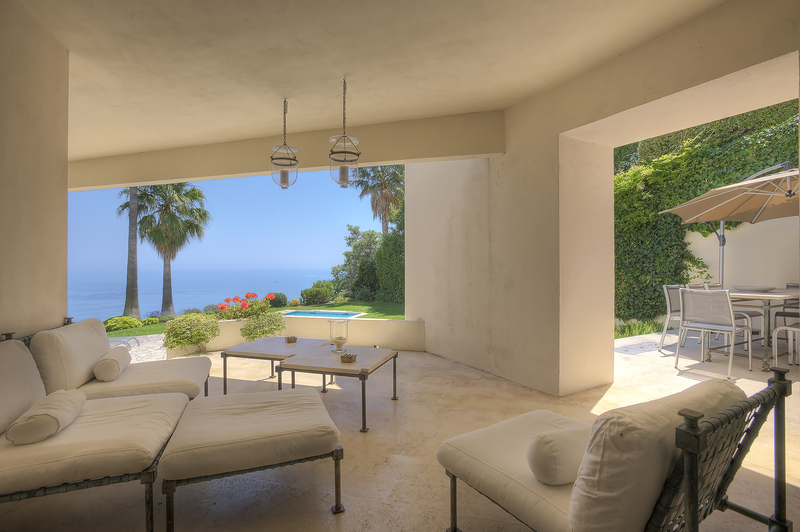 CN-CAR0225 is situated on the hillside of Super Cannes in a quiet residential neighborhood just a 15 minute drive away from beaches and city center, this spacious 290m2 villa surrounded by 2300m2 of land, features a magnificent panoramic view of the bay of Juan les Pins and Cap d’Antibes. 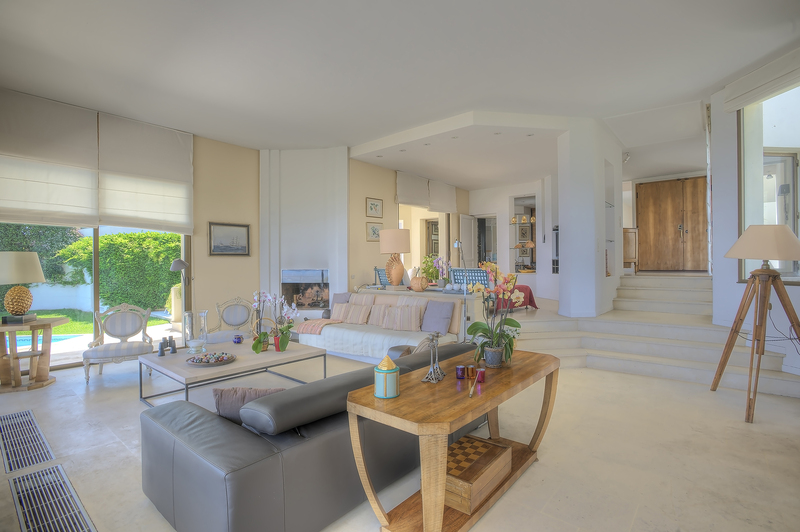 This beautiful contemporary villa offers three en suite bedrooms and one further bedroom in a separate apartment with a private terrace off the saltwater pool. 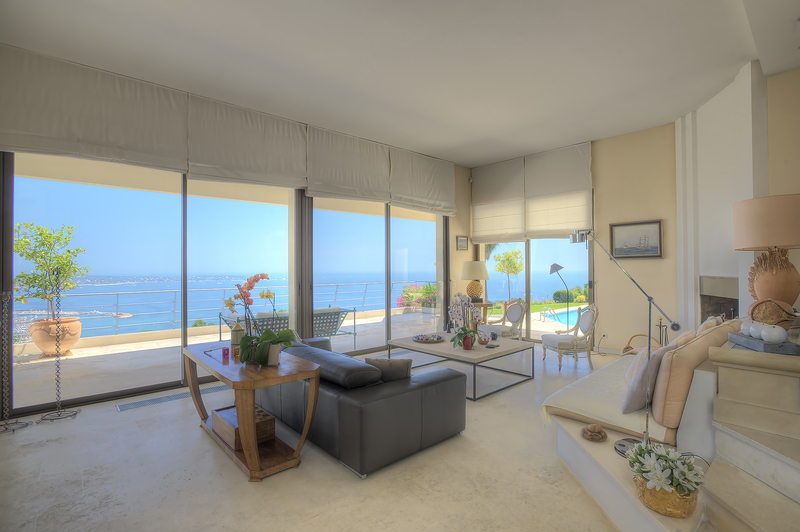 The interior is spacious and sunny with bay windows and large terraces with that incredible sea view. • Bedroom 1 with Queen bed, en suite bathroom with WC, and terrace access. 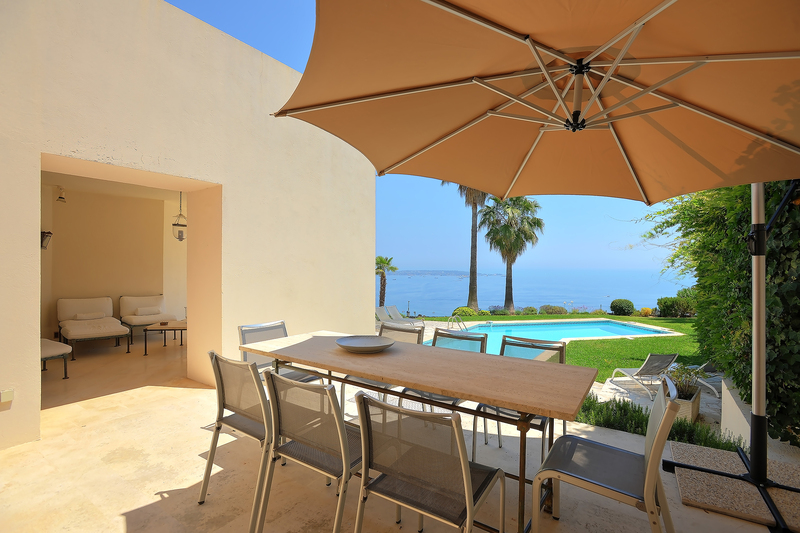 • Bedroom 3 with Queen bed (1x140cm), sea view and en suite bathroom and a mezzanine with double bed that can be used as an additional bedroom or an office. 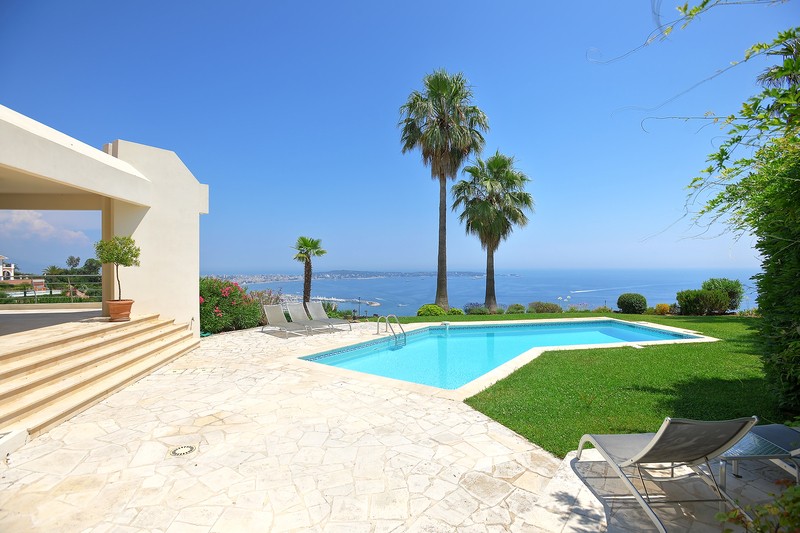 • Newly renovated guesthouse with independent access : bedroom with Queen bed, shower room and living room with sofa-bed opening onto large terrace.